The deed is done. 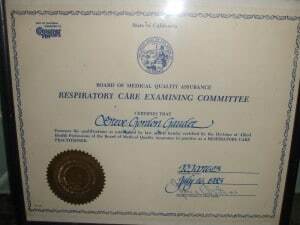 As of today Im longer allowed to practice Respiratory Care in the State California. 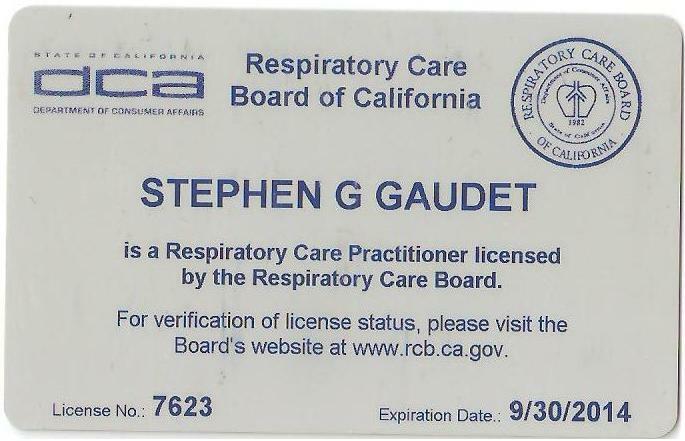 I finally submitted the paperwork to place my RCP license into retirement status, bringing my 3 and a half decade career in this field to an end…at least for now. Ive been going back and forth on this decision for years now, but nearing the age of 60, in questionable health and not having worked a shift in almost 10 years, I think it’s the right move. There’s really no benefit in continuing to maintain and active license if Im not going to return to the workforce. Even if I renewed my license and kept up with the continuing education requirements, technology in the field has changed so much that if I ever returned to a paid position in an acute care setting, I would have to do a lot of catching up. License or not, I consider myself an excellent therapist with a solid background. 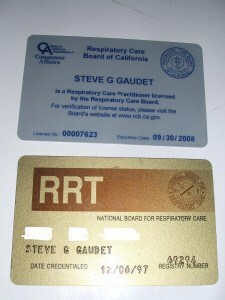 I still hold the RRT credential which will never expire and can make re-applying for state licensure much easier if I ever needed to. It would require submitting school transcripts and being finger printed and vetted all over again, but at least the door isn’t completely shut. 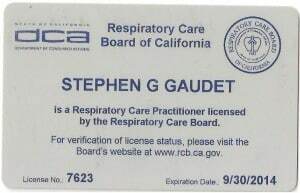 Going forward I will always be involved in the Respiratory Therapy scene, but from now on as a patient, not a provider. 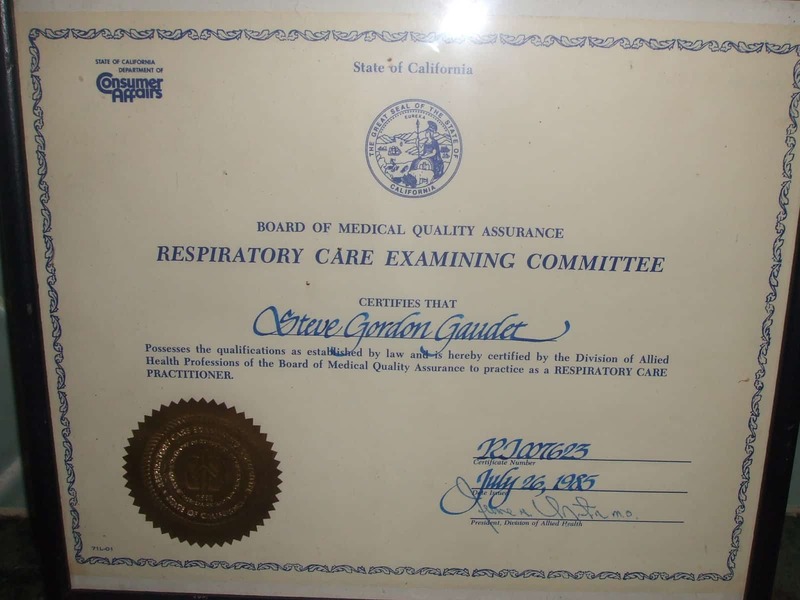 In 1985, the State of California became one of the first states in the USA to required all Respiratory Care Practitioners/Therapists be licensed in order to legally practice. Here is my original license.